What is an impact driver used for? You are going to use a lot of this tool if you need to drive in a lot of screws, or if you going to build a deck, or you are going to drywall a room. This tool is very helpful in speeding up construction projects. However, everybody cannot use them. The new cordless impact drivers are particularly confusing. They are used more for remodeling and construction rather than for pulling out nuts and screws. An impact driver helps in driving, into a surface, a particularly long screw. It is a high-speed screw-driver, more or less like a drill. Impact drivers set the screw by giving it a tap as it is being set. The impact driver puts into screws into place easily and quickly. Many a time impact drivers are mistaken for impact wrenches that are used by car mechanics to loosen or tighten the big car bolts and nuts. The earlier impact drivers were manual and still cause confusion when the unfamiliar search for impact drivers on the Internet. The manual ones had to be struck with a hammer to loosen the nuts and bolts. Impact drivers’ rating is usually specified in inch/pounds. Additional factors that are listed by the manufacturers include the RPM and the beats per minute. Make sure you need an impact screw driver before you get one for yourself. They are not for everyone. If you do not want to bend or strip the screw, or screwing it too deep inside or not properly setting it while using the impact screw driver, ensure that you have some practice before using it. Drive a few screws into scrap wood, before you try it on the actual surface that needs to be worked upon. If you are going to work on thinner pieces of wood, make sure you have piloted holes prior to drilling, as the wood may get split when using the impact driver. Another tip is to use bar soap on the threads of the screw if you are planning to use them in hardwoods. They slip in easier, and a bar of Ivory soap would definitely come in handy. A cordless impact screw driver is particularly suited for work on metal. Sheet metal construction like installing a tin roof, drywall on metal studs, and metal barn siding can find good use for the impact screw driver. They drive lag bolts with ease and neatly place sheet metal screws into duct work. Remodeling tasks require very little time when impact screw drivers are used. There are plenty of demonstrations available that can familiarize you with how to use the tool for such tasks. 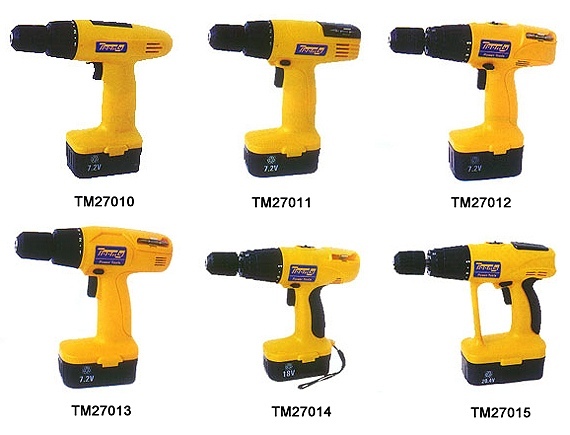 Many branded impact screw drivers are available from Bosch, Craftsman, Hitachi, Makita, Milwaukee, Dewalt, and the new Panasonic. The three speeds make Panasonic the most versatile and the best. But it is also the most expensive. The one that seems most difficult for me to use was the Craftsman Professional. My experience was one of stripping most of the screws that I drove into pinewood. I also managed to break some ¼ inch stove bolts. The Craftsman C3 19.2 volt lithium and the Milwaukee Lithium models suited me fine. I considered them good value for money when I used them. They are available both as single units and as drill/driver/battery combo packs. The least powerful among the lot was Craftsman NEXTEC, but there is no complaint really, as it is meant for the beginner. It pays to buy this model if you already own a NEXTEC auto hammer as the batteries are interchangeable. Otherwise, the ideal models to purchase would be 19.2 Craftsman or the Milwaukee. I would rate the rest of the models on the same plane. Buy the model that you like. Unless you have an existing drill/driver with a good set of batteries, for example you can try purchasing a 18v Dewalt impact driver if you have a good 18 volt Dewalt Drill, buy an impact driver that has new lithium ion batteries. The models that are powered with nickel-cadmium (Ni-Cd) batteries are heavier. They also take less time to recharge. However, the best feedback that I have got from contractors is for the Milwaukee LCT300W combo kit that they currently use. They are happy with the weight/power/battery ratio.